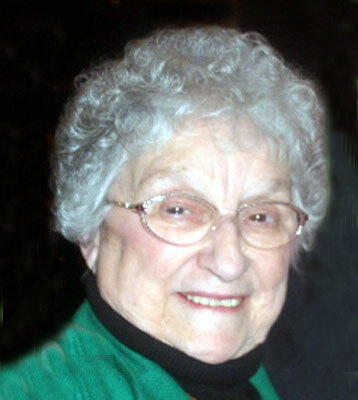 CAROL CAMODECA MINERAL RIDGE – Carol Camodeca, 88, passed away at her residence early Wednesday morning, June 26, 2013. Born March 19, 1925, in Niles, she was the daughter of Ernest and Edith (Uncles) Barnett. Carol was a graduate of Mineral Ridge High School, Class of 1943. Carol married John Camodeca on Sept. 7, 1945, and together they had three wonderful children. Carol was a devoted homemaker and mother. She was a past member of St. Luke’s Episcopalian Church in Niles, and attended the First Presbyterian Church of Mineral Ridge. Carol was a 60 year member of Eastern Star, the Altar Guild at St. Luke’s and the Meander Garden Club. Survivors include her husband, John; sons, Ernest (Deborah) Camodeca of Ashtabula and John (Virginia Seefried) Camodeca of Howland; sister, Edith (Joseph) Stabile of Mineral Ridge; grandchildren, Amy and Brian Camodeca, Jennifer (Charles) Doane and Melissa (Mike) Siet; and great-grandchildren, Briana, Mackenzie and Mikaya Siet. She was preceded in death by her parents; daughter, Dee Camodeca; brother, Samuel Barnett; and sister, Faith Williams. A celebration of Carol’s life will be held Sunday, June 30, 2013, from 2 to 4 p.m. at the Lane Family Funeral Homes, Mineral Ridge Chapel. A funeral service will follow at 4 p.m. Memorial contributions may be made to either the Animal Welfare League, 545 Brunstetter Road, Warren, OH 44481 or the Warren Family Mission, C/O Rev. Chris Gilger, 361 Elm Road, Warren, OH. Private interment will take place at Green Haven Memorial Gardens. Family and friends may visit www.lanefuneralhomes.com to view this obituary and to send condolences. Please share your memories of Carol.